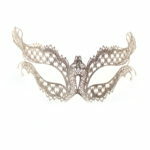 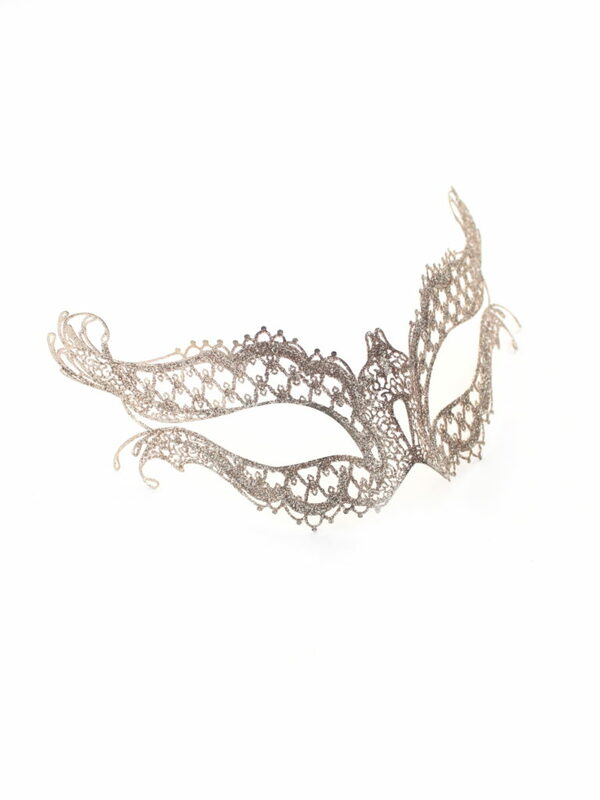 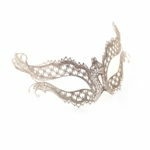 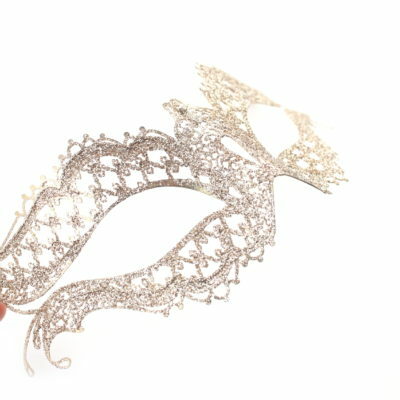 This stunning gold metal filigree masquerade mask features crystals at the top centre of the mask and has been hand decorated in a fine beige gold sparkly glitter. 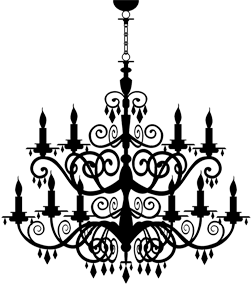 Looks amazing on and should suit most face shapes. 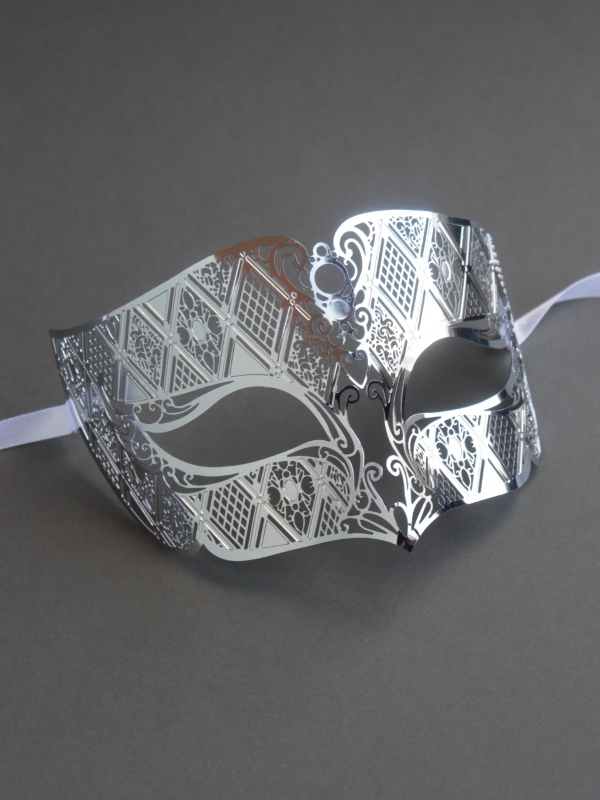 The eye holes are wide and the mask can gently be bent to adjust to your face shape.